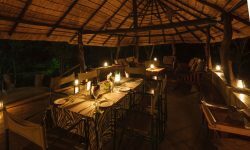 Serolo Safari Camp is an intimate tented camp, with just 5 units, located along the shady floodplain of the Limpopo River in the Northern Tuli Game Reserve. 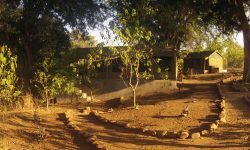 It is just 600m from the river itself, under the many massive riverine trees, including the magnificent Mashatu and tall Apple-leaf trees. 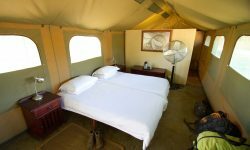 The unfenced Serolo Safari Camp offers accommodation in five fully-serviced safari-style tents with each tent sleeping two persons. 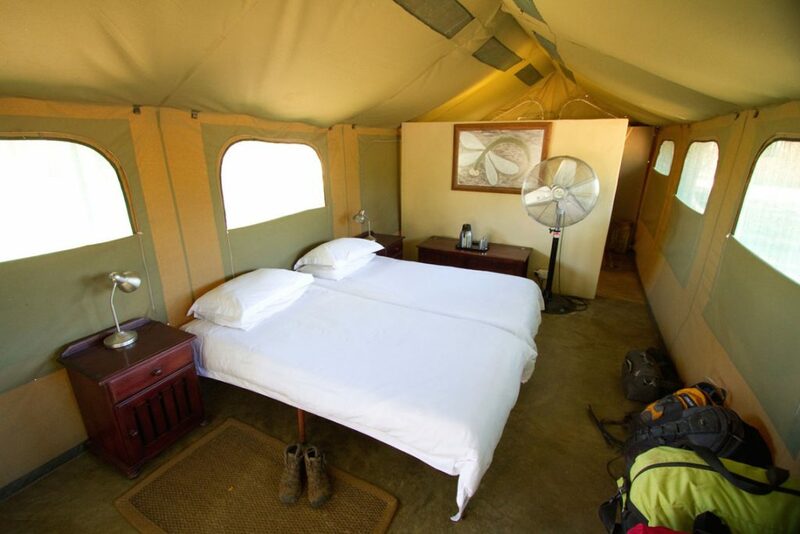 All of the tents have two single beds, electric fans, electric and hurricane lamps. 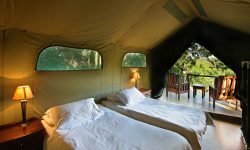 There are en-suite showers with hot water and flush toilets and all bed linen and towels are provided. 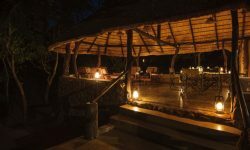 There is a central lapa / dining area with a fire-pit on the main deck. 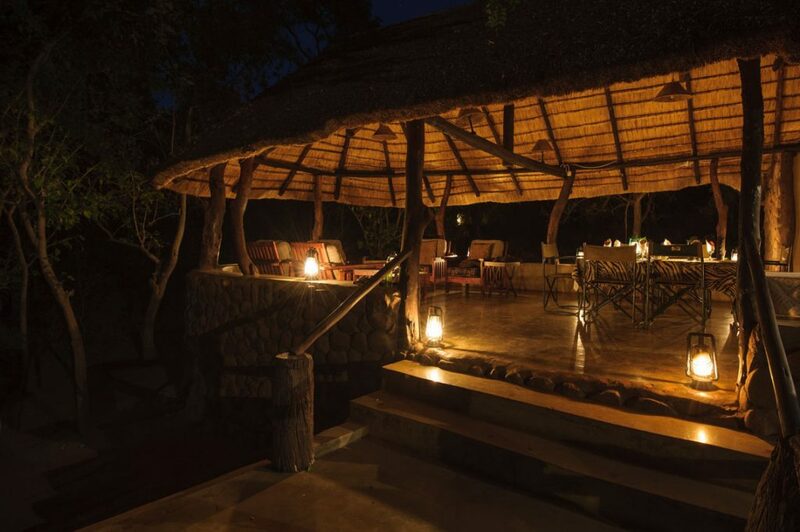 The camp has 220V electricity and a spotlight overlooks the waterhole at Serolo Camp. 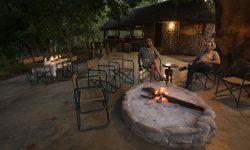 Game such as Elephants, Leopard, Bushbuck, Bush Pig, Warthog and African Wild Cat may possibly be seen drinking at the waterhole just below the camp. 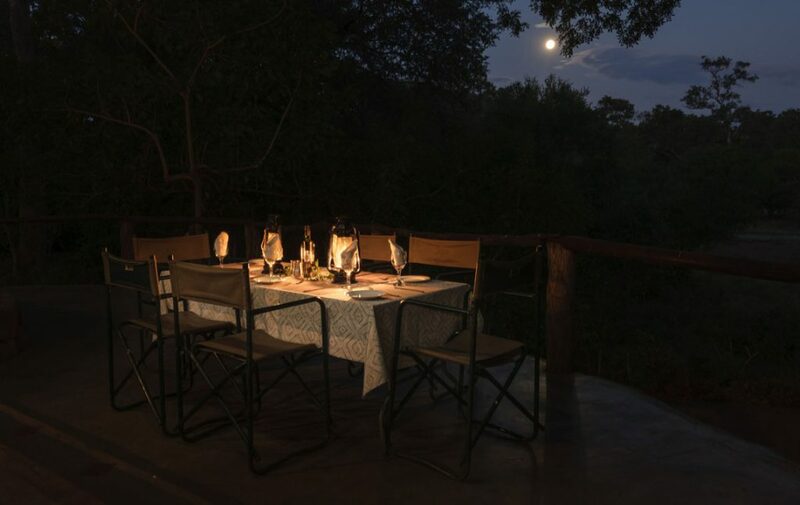 River to the East and encompasses riverine thickets, mopane veld, open plains and boulder-strewn sandstone ecosystems, complete with the game one would expect. Lion, Leopard, Cheetah, Spotted and Brown Hyaena are amongst the many carnivore species that occur within the reserve. Large herds of free-roaming Eland, Zebra and Wildebeest are seen regularly and many other plains game species are also to be found in the area. 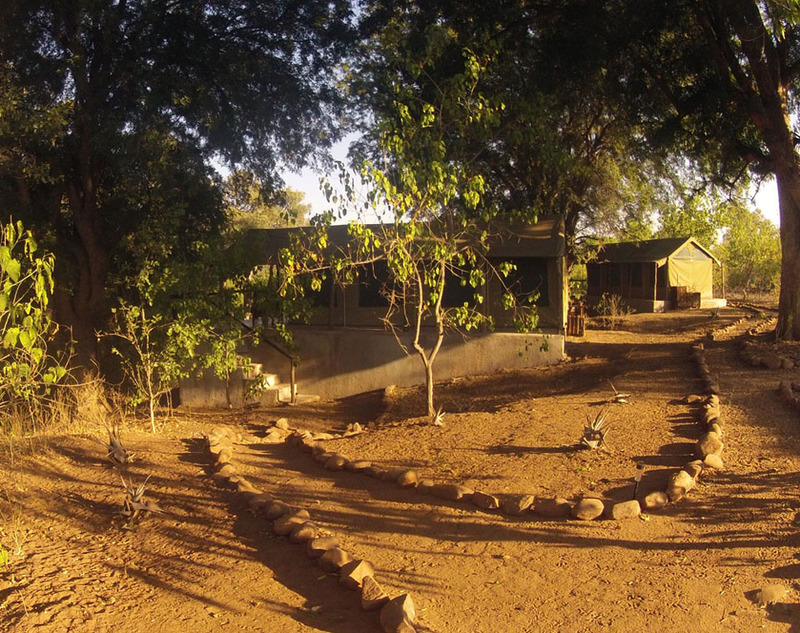 The Tuli area – which falls within the famous Kalahari geological system – is rich in archaeological heritage with beautiful San rock art sites having been discovered alongside numerous archaeological sites dating back from the Stone Age. Scattered artefacts are still being discovered over the concession. 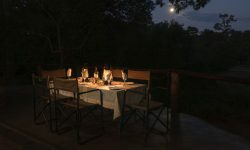 Game-viewing is excellent during the drier months of April to October and the southern night- skies appear to be studded with more stars than the other seasons. The stark beauty of the landscape towards the end of the dry season is synonymous with the Tswana word “tuli” (meaning dust). 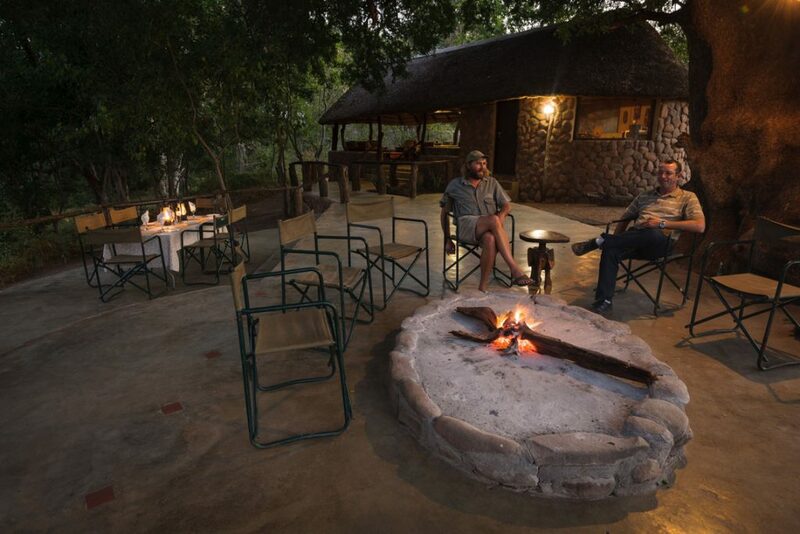 The ‘green season’ occurs from November to March and this is when the African bush takes on a whole new look. Most animals produce their young while the migrant birds return to their sunny southern African summer homes. 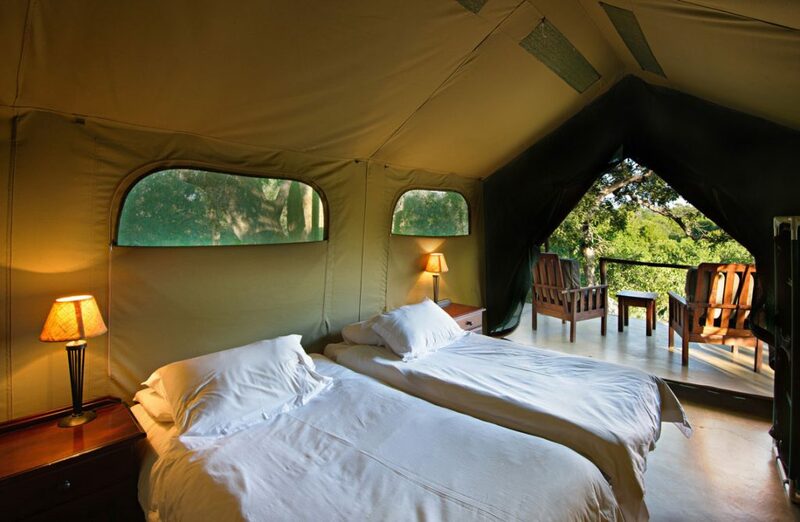 Once the rains return to the region, the bush lays a lush green floral carpet and the sky is spectacularly blue, all combining to make this a special season to visit.